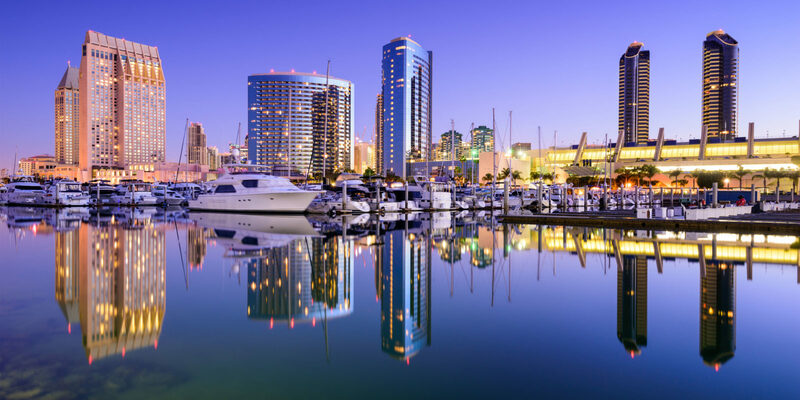 With its plentiful sun, sand, surf and seafood, San Diego is the perfect escape from the mid-winter blues. Even a quick vacation here can rejuvenate your spirit for those long months stretching between you and springtime. 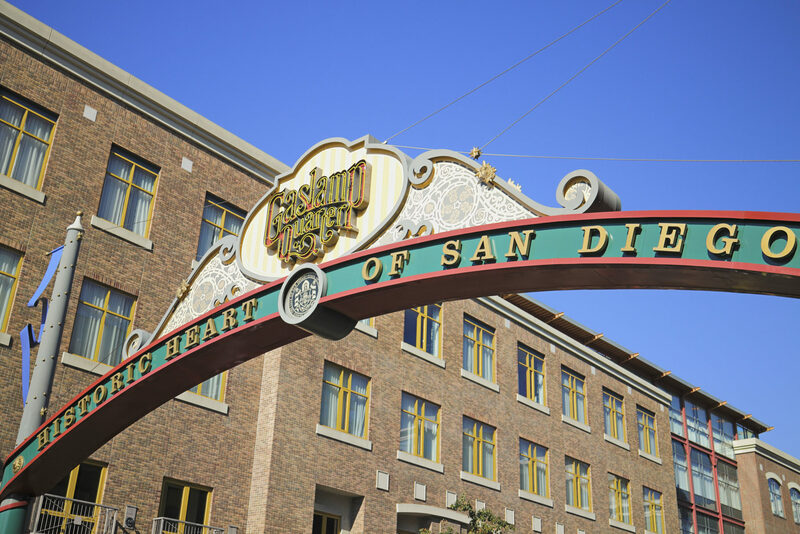 First, head to the historic Gaslamp Quarter, featuring more than 16 square blocks of restaurants, nightlife and entertainment — and a few of those historic gaslamps, of course. Before dinner, take some time to explore the district’s boutiques and galleries nestled in restored Victorian-era buildings. Toast to the beginning of a fabulous stay at this cozy Italian restaurant in the heart of the Gaslamp Quarter. According to Craig, it has “a great wine list and awesome service” as well as a “very nice selection of desserts.” His favorite dish? The Osso Buco. Continue your tour of the Gaslamp Quarter with a stop at this dive bar known for its long hours, interesting clientele and unpretentious atmosphere. “It’s a hole-in-the-wall place with strong drinks at a cheap price,” Craig said. Try your hand at deep-sea fishing during a half-day trip with Point Loma Sport. The knowledgeable guides will take you to where the fish are biting, but that’s not all. “They’ll even offer to clean your caught fish and ship it to your home address,” Craig told us. Reservations are a must. 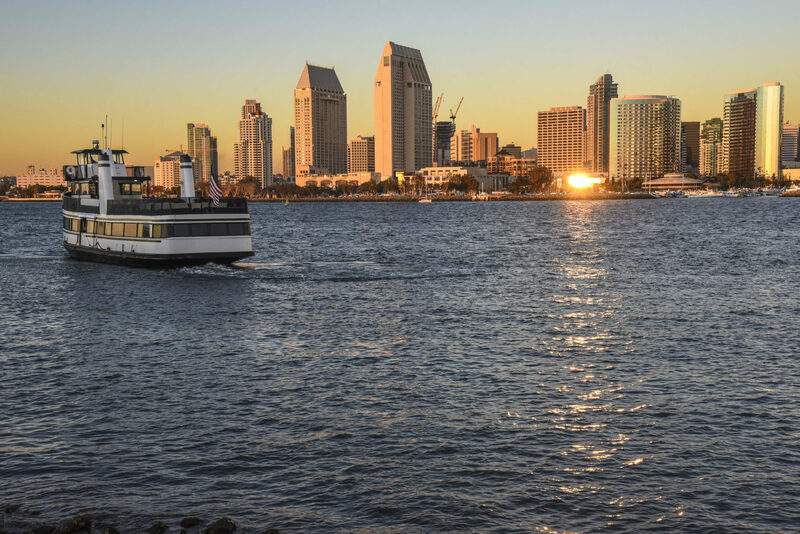 If you’d prefer to spend the day on a different kind of boat — or if you have time to fit in a second sea excursion — take a spin around San Diego Bay with Hornblower Cruises. Choose from 1- or 2-hour harbor cruises. “They’re clean, well-staffed yachts,” Craig said. “The captain gives you a comprehensive understanding of San Diego Bay.” Again, reservations are a good idea. Cross the bay to fuel up at this landmark hotel that regularly hosts international dignitaries and offers several fine dining venues. “The rack of lamb at the Crown Room is fantastic,” Craig shared. Plus, the hotel’s location on the beach makes it a great place to watch the sunset. Ascend 40 stories up to this lounge atop a waterfront hotel right next to the harbor. As you sip on a delectable specialty martini, you’ll have ample chance to admire 360-degree views of the city and Pacific Ocean. 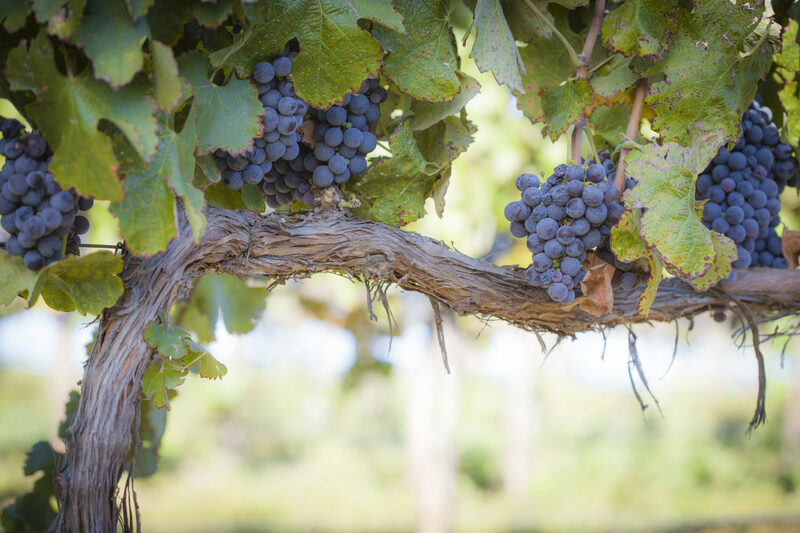 Venture out of the city to the vineyards with Destination Temecula. They’ll pick you up in San Diego and whisk you away through citrus groves and horse ranches to several wineries in San Diego wine country. Even better? “They’re also willing to ship a case of your chosen wines worldwide,” Craig said. As you may have guessed, reservations are required. After a day of wine-tasting (or gulping), fill up on modern American cuisine at this elegant 12th-floor restaurant in the Fifth Avenue Financial Center. Why does Craig recommend it? “The attentive service, fabulous wine list, awesome view and award-winning cuisine.” What’s not to love? Discover the region’s gorgeous coastline by kayak! 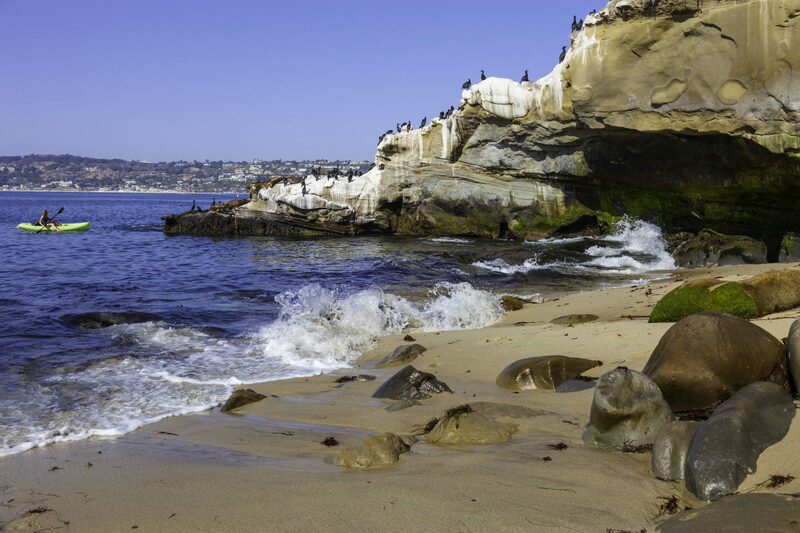 At La Jolla Kayak, you can greet the day with an hour-long guided excursion with the chance to see sea lions and other marine life while navigating the Seven Caves. Just be sure to make reservations and arrive early to find parking – and “have patience as you’re getting over the first set of waves,” Craig advised. Following an energizing morning at sea, relax at this chic dining spot located right on the beach in La Jolla. Craig’s top tips: try the Diver Scallops, and make a reservation for high tide — the waves will crash into the dining room windows for a stunning show. If you enjoyed this article, check out our 4-day expert itineraries for South Beach, New York City and Washington, D.C.